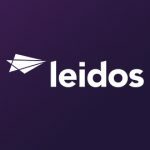 Leidos will provide DevOps services for critical immigration systems operated by the Department of Homeland Security’s U.S. Citizenship and Immigration Services under a potential three-year, $93.5M task order. The task order falls under USCIS's Outcome-Based Delivery and Development Operations Services II contract, the company said Monday. Scott Gray, senior vice president of Leidos' homeland security solutions business, said the award will help expand the company’s agile DevOps presence within DHS. The company plans to support the USCIS mission through team-based approach and will deploy a group of technical professionals help the agency incorporate business functionality into customer-centric architectures and processes.